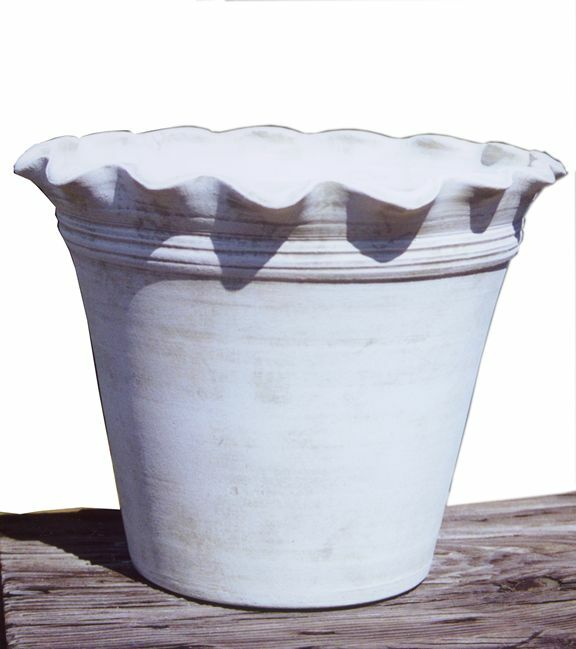 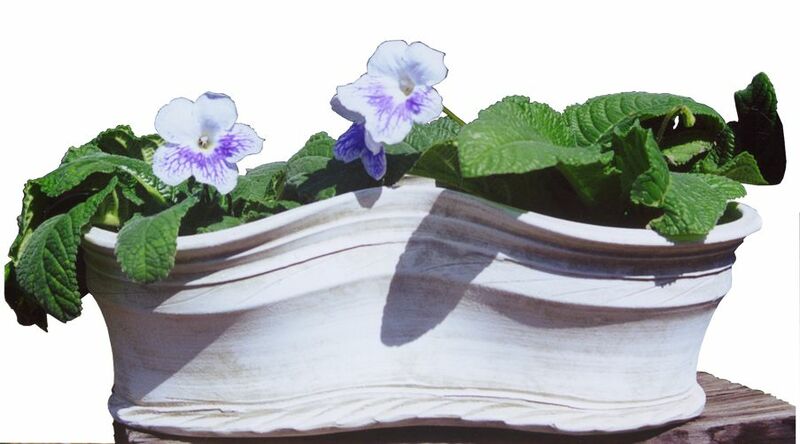 Cachepot translates to "hide pot" in french, and is, in effect, any pot with a glazed interior in which another potted plant or floral arrangement can be placed. 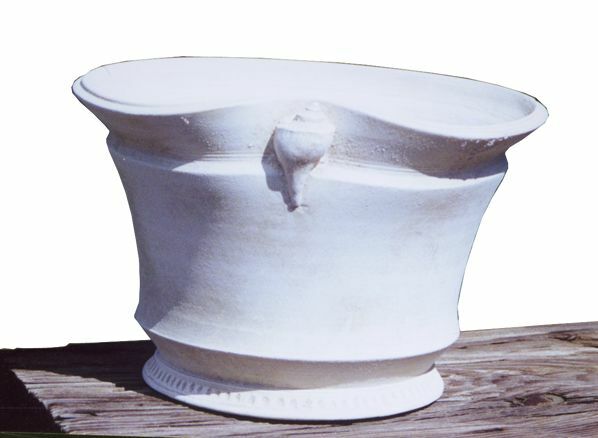 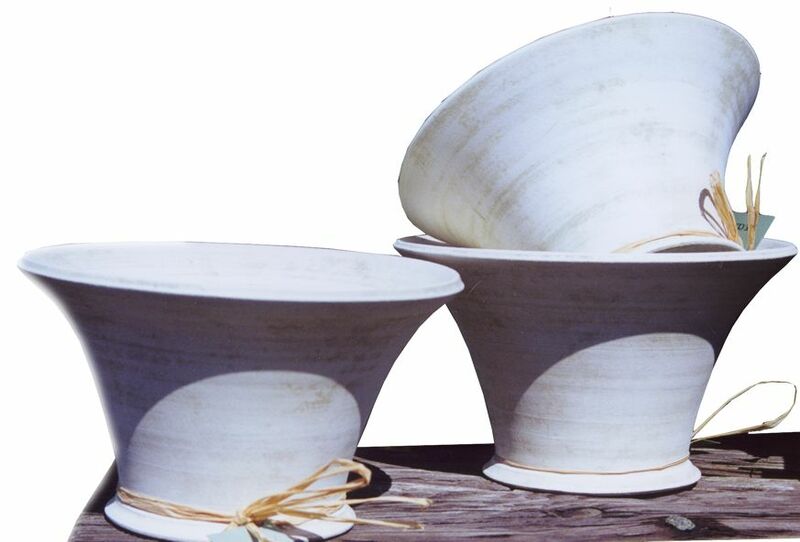 Most of Kim's pot designs can be glazed on the inside. 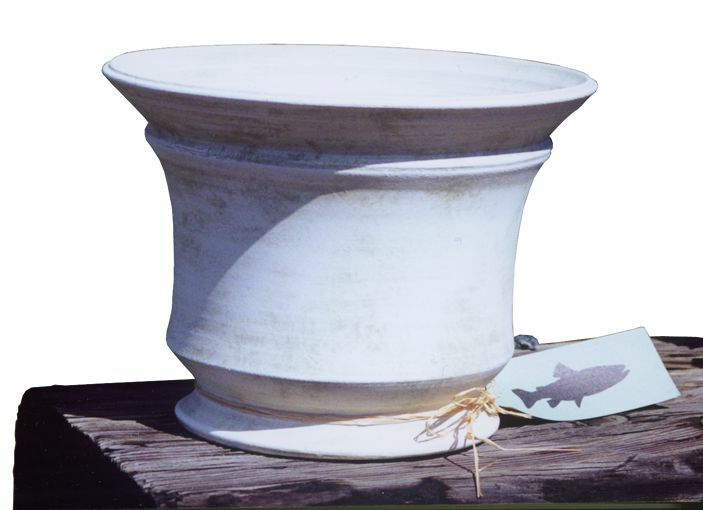 The interior glaze is an additional $4 per pot.